September 6th marked the anniversary of the death in 1978 of one of music’s great producers of the 1950’s and 1960’s, Tom Wilson. Although his name is not as familiar as those of say, Phil Spector, Brian Wilson or George Martin, his achievements and influence are profoundly important. Thomas Blanchard Wilson Jr. was born in Waco, Texas in 1931 and played the trombone as a hobby. Transferring from Fisk University, he attended and graduated Harvard University with a degree in political science and economics. 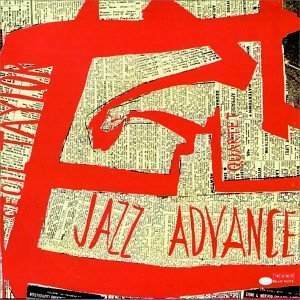 While in Cambridge, he was caught up in the local Avant Garde jazz scene, belonging to the Harvard New Jazz Society and working at radio station WHRB. It was at the radio station that he gained a business acumen and decided to invest $900 of borrowed money to start up a jazz record label in 1955. 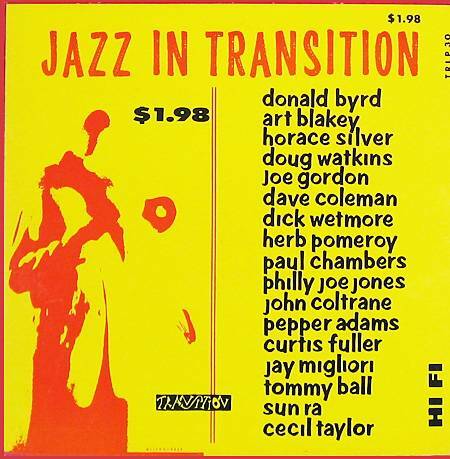 Transition Records would release 15 jazz albums (one, a sampler) including the first album by the legendary Saturn-born genius of outer space jazz, Sun Ra, called Jazz by Sun Ra (1956), and Jazz Advance (1956) by pianist Cecil Taylor. 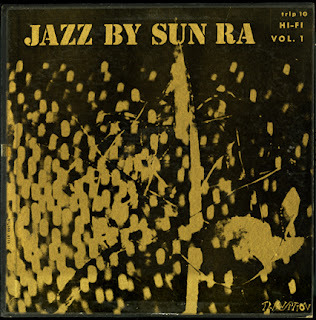 Due to his skill with producing and running Transition, Wilson landed positions first at United Artists Records, and then at Savoy Records, where he would further hone his skill producing more jazz giants such as John Coltrane and including 1961’s The Futuristic Sounds of Sun Ra, a great album that was the first of Sun Ra’s since his relocation to New York. 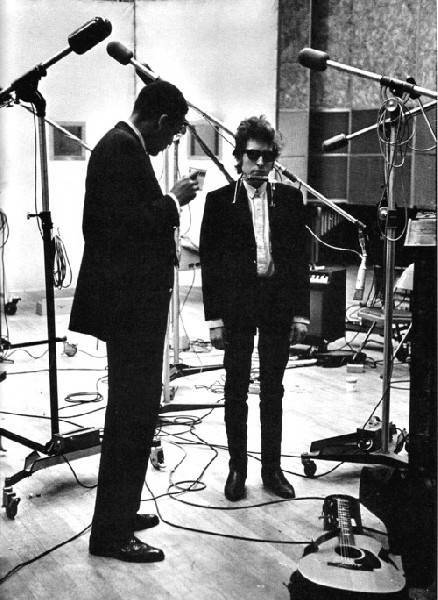 Wilson eventually ended up as a staff producer at Columbia Records, where he would take over the production (4 tracks uncredited) for Bob Dylan’s second album The Freewheelin’ Bob Dylan (1963) after Dylan’s manager Albert Grossman’s hatred of his first producer John Hammond, led him to take on Wilson. Tom Wilson, an African American hipster jazz cat, was at first not enamored of folk music, especially after recording hep jazz musicians such as John Coltrane and Sun Ra. 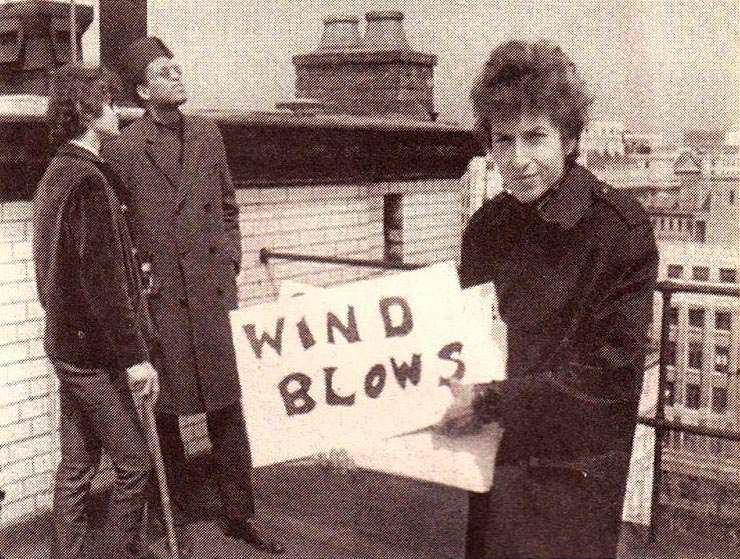 Yet, upon hearing Dylan’s lyrics, he quickly changed his mind. Wilson recorded five new Dylan compositions, four of which including “Masters Of War” appeared the album. He went on to produce three more Dylan albums, all as celebrated as the next The Times They Are a-Changin’, Another Side of Bob Dylan and Bringing It All Back Home plus Dylan’s astounding classic 1965 single “Like a Rolling Stone.” In an interview, Dylan has given some of the credit to Tom Wilson for his change from just acoustic folk to becoming the “electric Bob Dylan.” Whether it was Tom Wilson’s idea alone or more likely a collaborative thing, surely Tom Wilson was the type of producer that encouraged the direction. 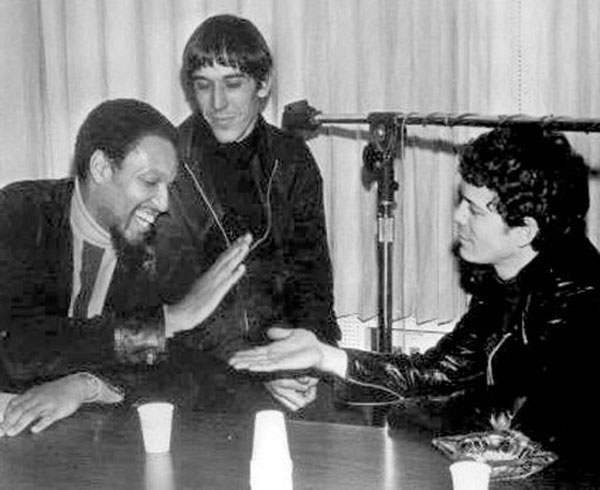 There was still times when Tom Wilson would use Sun Ra and his Arkestra members (in this case John Gilmore, Marshall Allen and Pat Patrick) for session work. One such session was for the 1966 cash-in album entitled Batman and Robin. 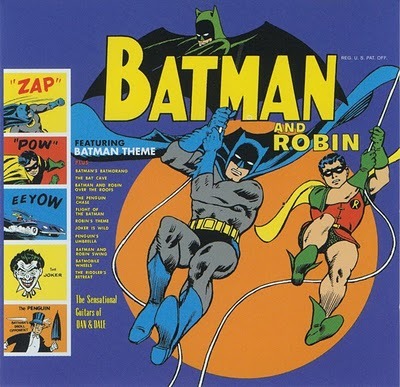 Attempting to somehow rope in the many fans of the Adam West’s Batman series, this album was credited to the non-existent Sensational Guitars of Dan and Dale, and would also include famous Dylan sideman Al Kooper’s rock/blues group The Blues Project, another band that Wilson would later produce the great Projections (1967) album for. Wilson grew tired of jazz music, sold his Transition Records licensing off, and found that the new underground folk-rock sound, as practiced by The Byrds, was more exciting to him. Taking a cue from The Byrds‘ hit cover of Dylan’s “Mr. Tambourine Man,” Wilson took a track off of an album he had produced in 1964 called Wednesday Morning, 3 A.M. by the sparse folk duo Simon and Garfunkel, who had just broken up. Without the duo’s knowledge, he overdubbed electric rock instrumentation onto the track and released the song as a single. 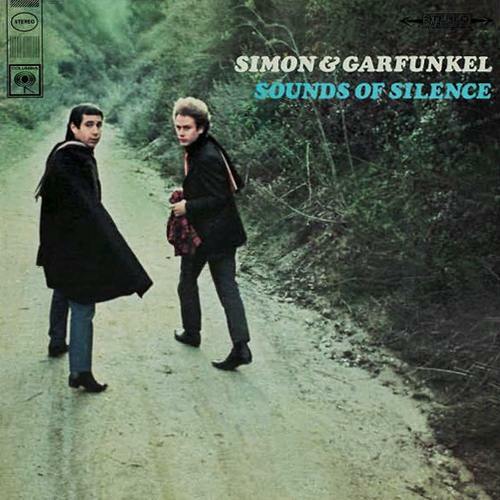 In 1966, that single, “The Sounds Of Silence” would become an enormously popular #1 hit single, launch the folk-rock genre everywhere and lead to Simon and Garfunkel getting back together for a long career of best selling albums and fame. Tom Wilson would go on to work at Verve Records where he was able to sign and produce experimental, and very out there bands, often at his own risk of employment. Wilson managed to produce (although to be fair, he probably Executive Produced, allowing Zappa a free hand) the equally important Zappa/Mothers Of Invention sophomore release, Absolutely Free (1967) and then (as Executive Producer) their answer to Sgt. Pepper…the masterfully sardonic We’re Only In It For The Money (1968). 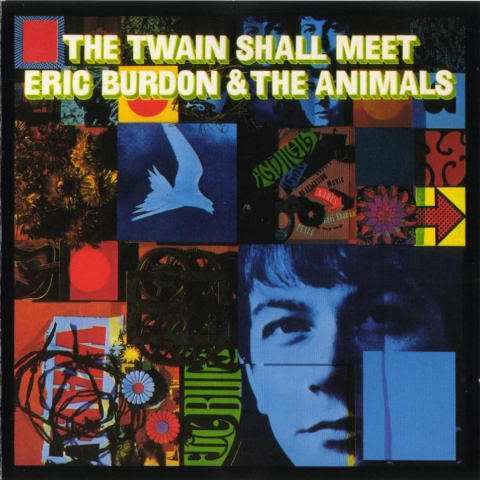 Eric Burdon & the Animals, with Burdon’s transitional album Eric Is Here (1966), featuring a new Animals lineup from his that of his previously classic r&b one can be added to Wilson’s production credits, as can the psychedelic masterpiece (featuring “Sky Pilot” and “Monterey”) Eric Burdon and The Animals’ The Twain Shall Meet (1968). Animals Bassist/Producer Chas Chandler may be best known as the manager of The Jimi Hendrix Experience (he managed the band over the course of the first two albums) while Jimi was beginning to be recognized in the U.K. psych scene and fast becoming a star in America. 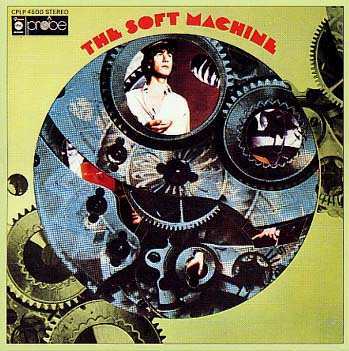 Chandler also co-produced, along with Tom Wilson, the stunning debut for those other experimental luminaries (besides The Pink Floyd) of the British Underground Psychedelic scene—The Soft Machine, who gave music Robert Wyatt, Kevin Ayers (and previously, Daevid Allen who went on to form Gong), and a long lineage of progressive rock/jazz fusion/psych musicians that would continue to this day under the genre collectively known as the “Canterbury Scene”. 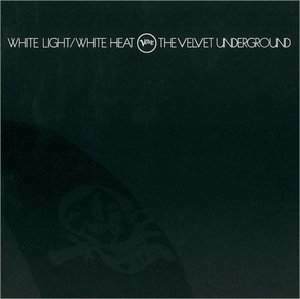 The debut album by The Velvet Underground, called The Velvet Underground and Nico (1966). The album was always mostly credited as “Produced by Andy Warhol,” but just as how the many feature films for which Andy Warhol would take a credit for (Flesh for Frankenstein, Blood For Dracula etc.) were usually the work of director Paul Morrisey, so too has the Velvets’ John Cale, who acted as musical director acknowledged that it was Tom Wilson who was the real producer, that “Andy Warhol didn’t do anything”. 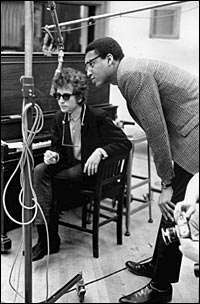 Well, Warhol did pay for the recording sessions and it was his fame that brought attention to the band, but really behind the scenes Tom Wilson was The Man. 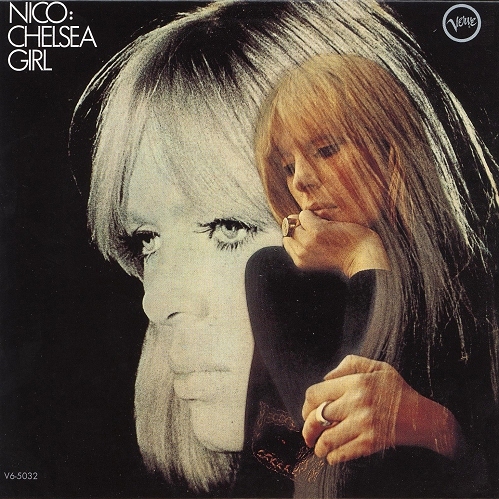 Tom Wilson would go on to produce Nico’s solo debut album Chelsea Girl (1967) and the Velvet’s second phenomenal album, White Light/White Heat (1968) which has as many fans as the first album who say it is their best work. Sadly, as the seventies emerged and moved on, Tom Wilson’s profile was nearly absent from music and few interviews exist with him during this period (he died of a heart attack in 1978). Luckily though, we have the albums he did produce. So whether it was his hands-on production skills including editing, sequencing, post production or overseeing recording sessions, or whether his role as an album producer was more that of being able to get a difficult to sell musical act past the lawyers and bean counters at a major record label, the legend of Tom Wilson is assured. The next time the illustrious producer names of Phil Spector, Andrew Loog Oldham, George Martin and Brian Wilson get bandied about, don’t forget to add in Tom Wilson’s name to the discussion—he was a real cool cat who in fact, knew exactly just what cool really was! AMBIENT MUSIC CREATED BY THE SOUNDS OF A DIAL-UP MODEM SLOWED DOWN 700-PERCENT.